The light was originally designed to be powered from 3x AAA cells and illuminated for around 30 seconds when movement was detected and initial testing revealed that the light provided adequate illumination of the room with the fitted diffuser. The light was disassembled to determine it’s suitability for fitting a custom PCB. 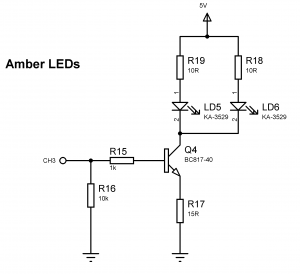 The schematic design for this nightlight is relatively trivial. 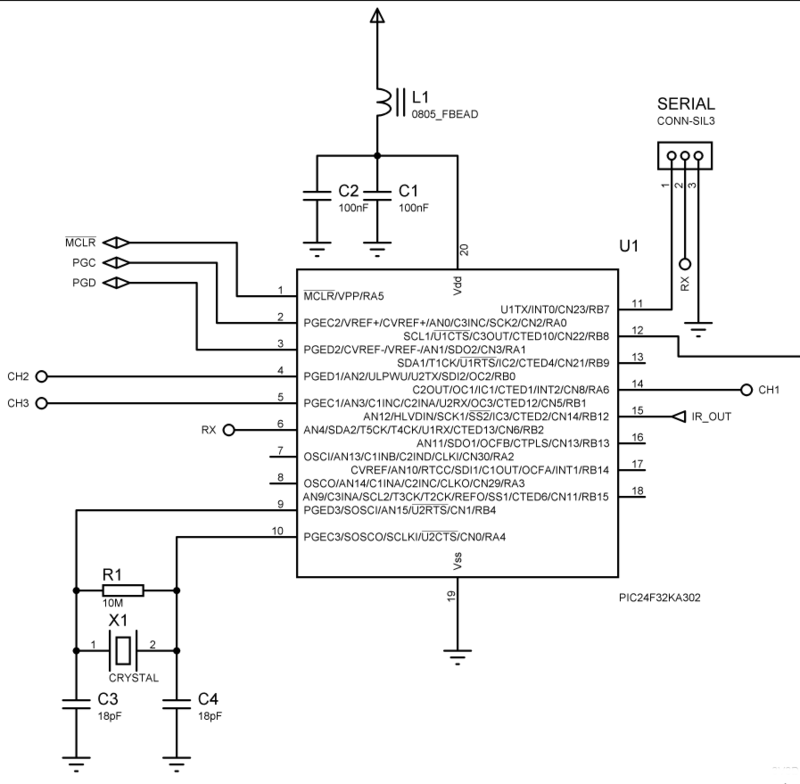 Starting with the microcontroller, I selected a Microchip PIC24F32KA302, which had a suitable number of hardware PWM channels and some EEPROM built in for storing brightness settings. 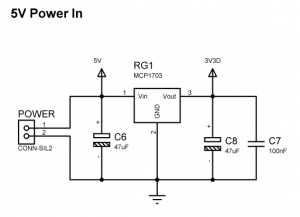 A simple linear regulator provides power to the MCU from the 5V supply. 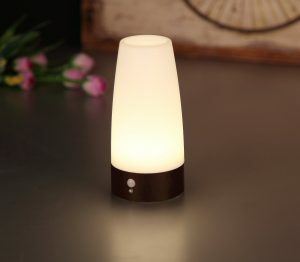 A white LED source was selected – a pair of Cree XLAMP MX-6 warm white LEDs were chosen to be the main light source for this nightlight and the driver was designed to provide a constant current of around 170mA to the LEDs at full duty cycle. 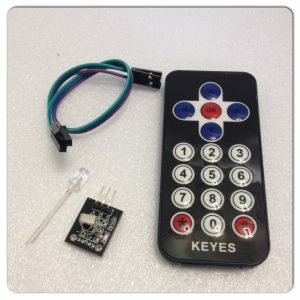 The driver is expected to be connected to a PWM output from a microcontroller for brightness control. A pair of red and amber LEDs are added to the design to allow a low level warm glow in the room when a main light source is not required. 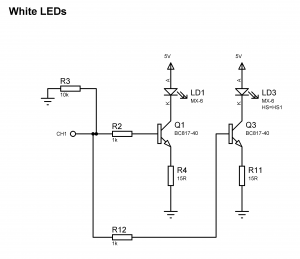 Kingbright KA-3529 LEDs are used for this purpose along with a similar LED driver. I wanted the light to be simple to control remotely, so some infrared remote controllers were purchased from eBay. 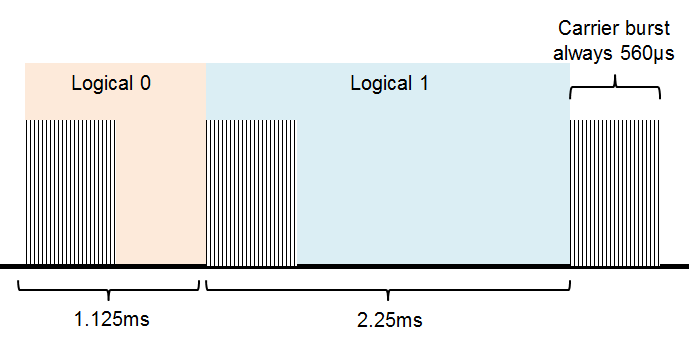 Total transmission time always constant because every bit is transmitted with its inverted length. 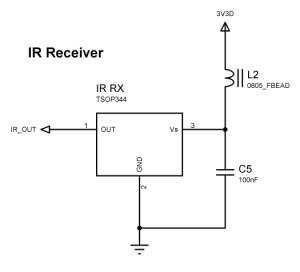 A few other expansion headers are provided on the PCB for future use, but the nightlight is designed to be controlled entirely from the IR remote control.